(25 October 1881  8 April 1973). He was a Spanish painter, draftsman, sculptor, printmaker, ceramicist, and stage designer; who lived most of his life in France. One of the greatest and most influential artists of the 20th century. He is widely known for co-founding the Cubist movement, the invention of constructed sculpture, the co-invention of collage, and for the wide variety of styles that he helped develop and explore. Among his most famous works are the proto-Cubist Les Demoiselles d'Avignon (1907), and Guernica (1937), a portrayal of the German bombing of Guernica during the Spanish Civil War. 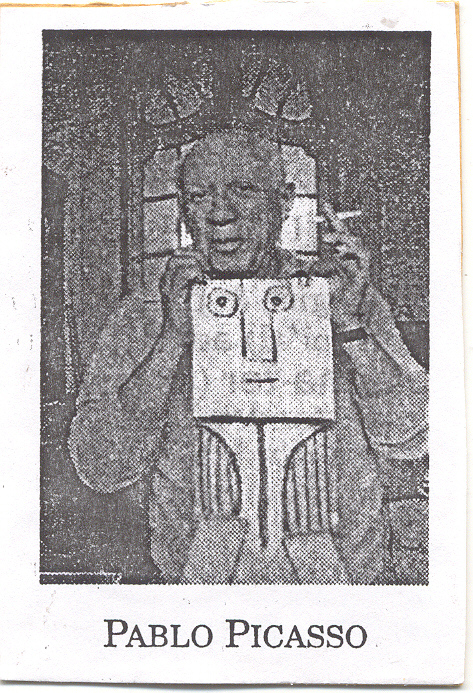 Picasso demonstrated extraordinary artistic talent in his early years, painting in a realistic manner through his childhood and adolescence; during the first decade of the 20th century his style changed as he experimented with different theories, techniques, and ideas. His revolutionary artistic accomplishments brought him universal renown and immense fortune, making him one of the best-known figures in 20th century art.